Not long now until the end of Sale-a-bration! 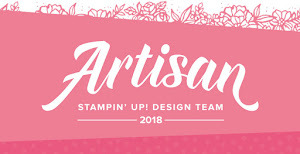 I will be sad to see this awesome stamp set "Heartfelt Blooms" go, it's such a great set for creating a quick card that looks a million dollars! 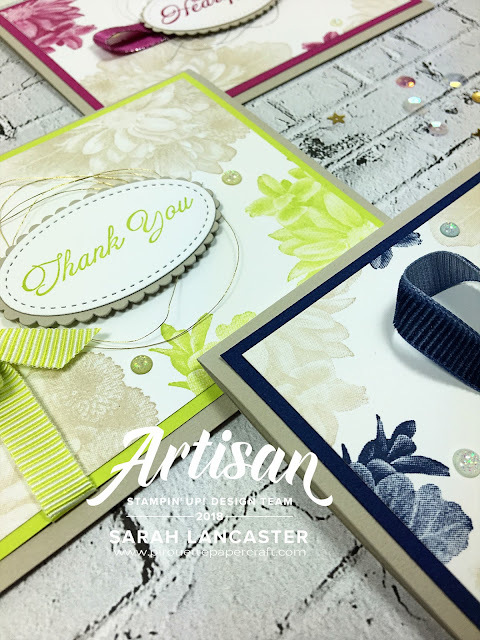 Last week I shared some cards with more subtle colours and today I'm sharing some cards with more brighter colours - and of course one of them is Lemon Lime Twist! And aren't those ribbons just the prettiest? So don't delay in treating yourself before the end of the month so you can get this stamp set free. A spend of 60€/£45 (before shipping) in my online store and you get to choose a Sale-a-bration product free of charge.